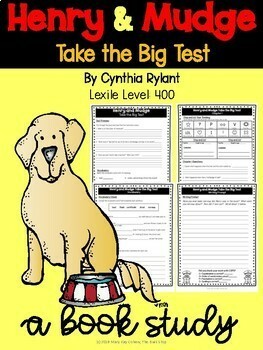 This comprehension packet is the perfect companion to the book, Henry and Mudge Take the Big Test by Cynthia Rylant. 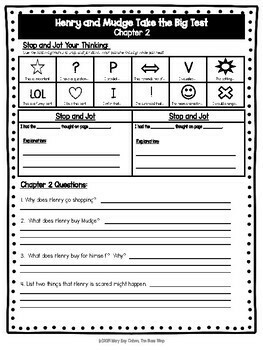 It includes the Stop and Jot reading strategy and comprehension questions for each chapter. What is the Stop and Jot reading strategy? 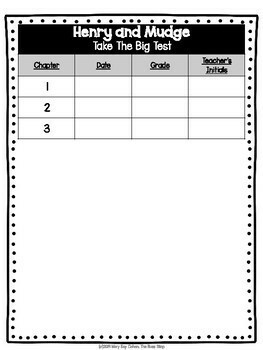 The students will complete two Stop and Jot notes for each chapter of this book. Stop and Jot notes are the students thoughts while they read. 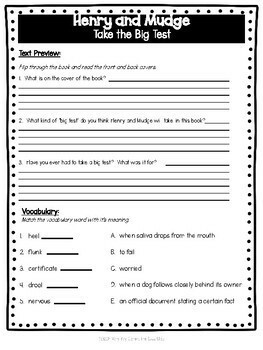 Students will pause during their reading and "jot" down their thoughts. Stop and Jot notes encourage the students to actively think while they read which helps to deepen comprehension.